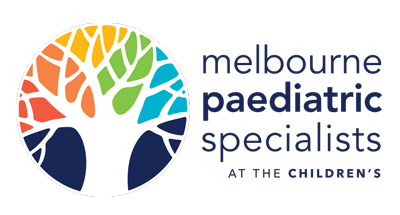 Paediatrician Dr Liam Tjia has now commenced private consulting at Melbourne Paediatric Specialists in May 2017 and welcomes new patients and referrals. Newborns – Infants – Toddlers – School age children – Teenagers / Adolescents. Liam completed training as a general paediatrician in 2005. He moved back to Melbourne with his young family in early 2016, having previously trained and worked in Sydney, London and Queensland. He finds the full breadth of paediatric practice rewarding, and feels privileged to meet so many families, often at a profoundly important point in their lives, in the course of his day-to-day work. Liam holds public positions at the Royal Children’s Hospital, and Monash Children’s Hospital. He holds admitting rights to the paediatric ward at Epworth Richmond Hospital. Liam was conferred a PhD by the University of Queensland in 2015. From experience, Liam has seen that parents often come to an appointment with many questions and concerns which might have built up over weeks or months. Specific “medical” concerns might also arise, which the doctor must address, like the possibility of a rare but important diagnosis. But along with that, the family must be given a clear explanation of what the doctor thinks is really going on. Links and communication between GPs and specialists / hospital doctors should be much closer and more routine than the systems in place in Australia currently allow. Liam tries to overcome the usual barriers, to work in true partnership with a family’s GP, facilitating better and more convenient care for the family and child. Liam’s doctoral thesis was in the medicolegal area, and examined some of the legal and ethical issues which arise when a very young child suffers a physical injury.